Moreover, whereas Apple under-promised with the iPhone 4’s battery estimates, it comes closer to overpromising with the iPhone 4S. 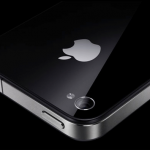 For example, while Apple promised six hours of 3G Internet use with the iPhone 4S, it fell short on each model. Our AT&T iPhone 4S achieved a 7 hour and 16 minute run time with 3G and Wi-Fi on, while the Verizon iPhone 4S actually ran for 8 hours and 27 minutes, both superior to our prior results on the iPhone 4. By contrast, the Sprint iPhone 4S turned in an amazingly weak 6 hours and 27 minutes—two hours less than the Verizon iPhone. Again, all three of the devices reported between 3 and 4 bars of service during testing, though the Verizon phone notably showed four bars the most often. So there you have it, perhaps some unwelcomed news about the iPhone 4S’ battery life. Thoughts?